Harry Potter and the Deathly Hallows: Part 2, A Christian’s thoughts | J.W. Wartick -"Always Have a Reason"
Harry Potter and the Deathly Hallows, Part 2 released over the weekend. I was at the midnight showing with my fiancee. The best description I can give of our feelings when it ended is this: bittersweet. The series is over. The books and movies are no longer coming. This is the end! Or is it? And that is the feeling I got throughout the movie. Is death the end? The movie takes little time to get going. Soon, viewers are thrust into the epic final conflict in which Harry Potter rushes to destroy all the horcruxes (pieces of the evil Lord Voldemort’s soul) in order to finally defeat his enemy. Things get going fairly well. Harry shows up at Hogwarts again with resounding support. He quickly uses his allies to take back the school and set it up for a final showdown with evil. As his friends battle the forces of darkness closing in around them, Harry searches frantically for another horcrux while Hermione and Ron locate a basilisk fang–one of the only things capable of destroying these pieces of soul. Harry goes willingly to his death. He meets Voldemort among his followers, and allows himself to be killed. But it turns out that this is not the end. Dumbledore had sealed the Resurrection Stone inside a gift to Harry. This stone allows Harry to speak with his dead friends and family. Harry, once dead, is made alive once more after a discussion with Dumbledore [thanks to an astute reader for making this point more clear]. Harry awakens in a pivotal scene in which Voldemort is announcing his victory over all wizards, and he and Voldemort battle in a final, epic showdown in which Harry overcomes evil once and for all. Thanks for your comment! I enjoyed your own post on the topic. The Christian themes in the Potter books (I am a bit of a fanatic myself) are numerous, often explicit, and very intentional. 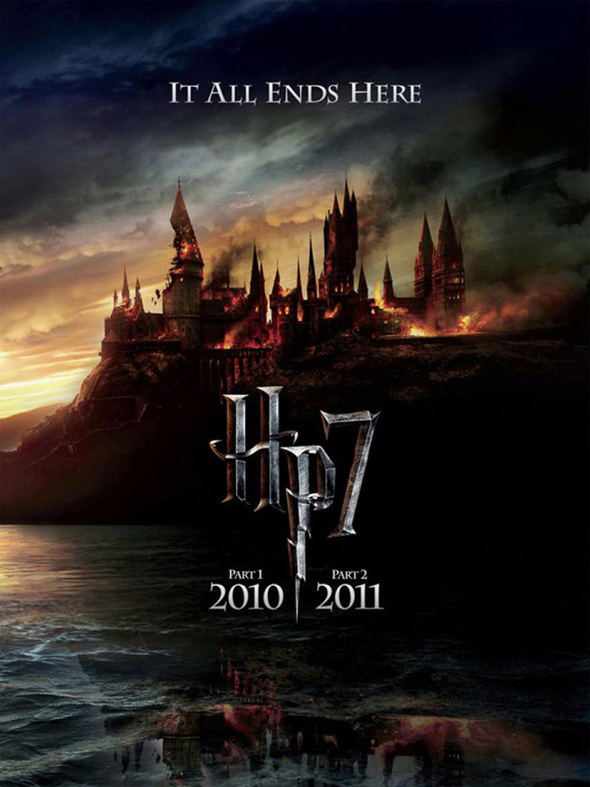 Rowling has even stated publicly that she feared the end might be too obvious because of its Christian symbolism. I recommend John Granger’s work on this issue, particularly his book How Harry Cast His Spell. Thanks for the comments! I’ll have to look into it. I didn’t know that Rowling had said such things. I work with home educators, and the majority of them think the books and movies are evil. I never read the books, mostly because there are always other books I am more interested in reading. However, my wife is a huge fan. I have gone to every movie with her, and while I didn’t enjoy the first two, the rest were really great. Like you, I see Christian themes in the story (especially the last movie), so I really don’t understand why so many conservative Christians have a problem with it. In the movie he actually dies and is resurrected because of the resurrection stone? In the book the only purpose of the resurrection stone is to let him get support from his parents, Sirius, and Lupin as he walks to meet Voldemort in the forest. He doesn’t actually die. The killing curse kills the fragment of Voldemort’s soul in him, but because of that and the fact that Voldemort is using the elder wand against its owner, and because Voldemort took Harry’s blood into his own veins, making himself sort of a Horcrux for Harry not to die. He has the choice to die in the vision of King’s Cross, but he chooses not to. Whoa, I don’t know how I forgot to get back to this. Anyway, I think I did misread what was happening in that scene. The resurrection stone was more for seeing the others. Thanks for the clarification!